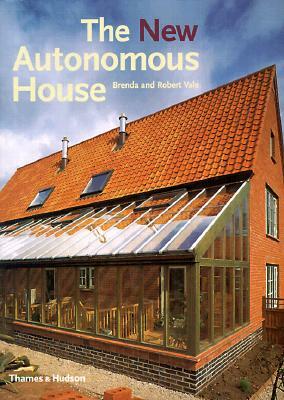 In 1975 Brenda and Robert Vale published The Autonomous House, a manifesto offering down-to-earth suggestions for building homes that do not pollute the earth or squander its resources. Their book received tremendous praise around the world and was seen as a significant move toward green architecture. Nearly twenty years later, in the early 1990s, the Vales decided to turn their groundbreaking ideas into reality. The New Autonomous House records their building of a house on the principles of sustainable resources in the small town of Southwell in the British Midlands. As specialists in green architecture, the Vales sought to create an environmentally friendly four-bedroom house that was neither exotic in appearance nor difficult to maintain. They document the philosophy, design, and construction of a building that can produce power from the sun and obtain drinking water from the rain. The New Autonomous House has a simple but revolutionary message: It is possible to live in an inexpensive house that is kind to the planet and liberates its owner from utility bills. The Vales provide a thought-provoking, practical solution to the environmental problems caused by the houses in which we live, a blueprint of green architecture for future generations.